Use this website to quickly find the most important information about the Abu Dhabi International Airport (AUH): Flights, Departures, Arrivals, Parking, Car Rentals, Hotels near the airport and other information about Abu Dhabi Airport. 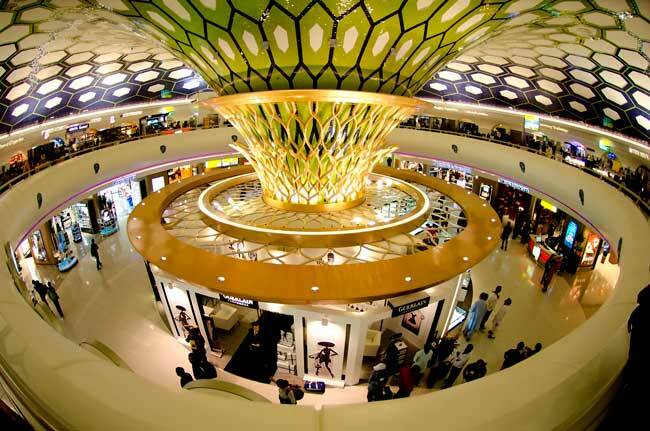 Plan your travel to AUH Airport with the information provided in this site. Abu Dhabi Airport (AUH) is the international airport serving the Emirate of Abu Dhabi, the capital of the United Arab Emirates. UH Airport is a very active hub operating with more than 120 destinations along 60 countries. Abu Dhabi Airport is located 30 km from Abu Dhabi city centre. The United Arab Emirates have plenty of must-see attractions and beautiful landscapes. The Sheikh Zayed Grand Mosque is one of the largest in the world and it is located in Abu Dhabi. Abu Dhabi Airport(AUH) also known as Abu Dhabi International Airport (AUH), is the international airport serving the Emirate of Abu Dhabi, the capital of the United Arab Emirates. It is located about 30 km from Abu Dhabi city centre and it is the 2nd largest airport in the United Arab Emirates. Abu Dhabi Airport is connecting the United Arab Emirates with the rest of the globe. AUH Airport is a very active hub operating with more than 120 destinations along 60 countries. - City Terminal: this is a very special service. Abu Dhabi counts with a City Terminal, which is basically a building in the Abu Dhabi downtown where passengers can do the check-in in advance if they wish so. 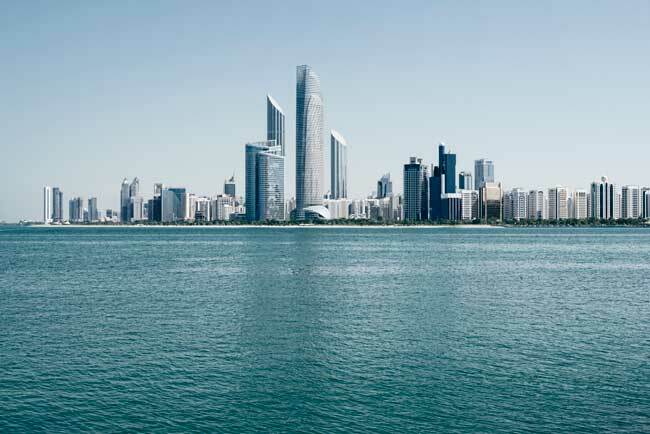 The City Terminal disposes of lounges and transport services, and passengers who have made the check-in can arrive at Abu Dhabi Airport 1 hour before their flight. - Metro: Abu Dhabi Metro rail system is a construction future plan which wants to serve a substantial proportion of passenger trips and relieve traffic congestions on the highway roads , as well as to provide optimal connectivity between Abu Dhabi Island and its suburbs and communities such as Saadiyat, Yas Islands and Al Raha Beach. Sheikh Zayed is a magnificent mosque in Abu Dhabi and a must-see attraction if you are visiting the city. 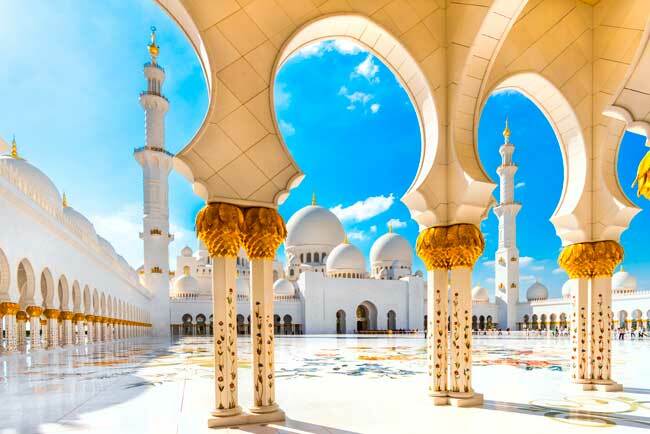 The Sheikh Zayed Grand Mosque is one of the largest in the world, and has white marble walls and floors, as well as intricate wall details made from colorful stones. From floor to ceiling, every corner of this place was made to impress, and it is probably one of the most visited attractions of UAE. 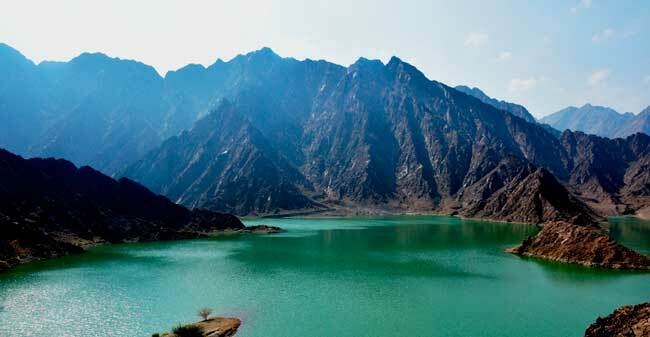 Hatta mountains are located just one hour drive from Dubai. It is definetely worth to drive there to see its impressive views and its relaxing environment. Hatta is also an ideal location for hiking, riding the bike, or for the practice of any other mountain sport. For the romantics, you can see there the most impressive scenery at Hatta Dam, where turquoise waters calmly rest between mountains. 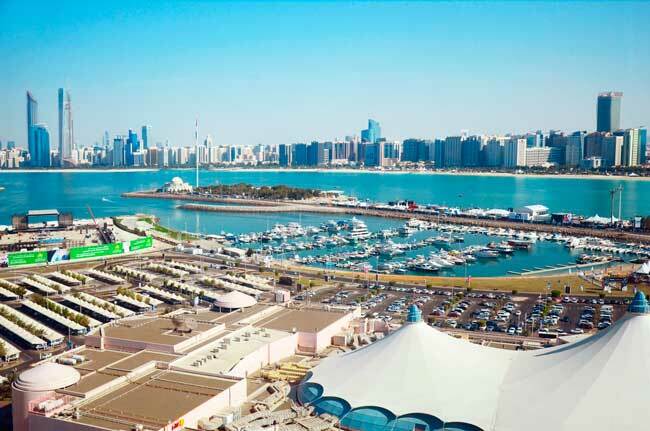 During the summer days (almost always there), a walk by the Corniche is a must-do. The Corniche is the road along the western border of the city running parallel to the sea coast. In 2016, Abu Dhabi Airport (AUH) handled 25, 964,178 passengers. Being the 2nd busiest airport in the United Arab Emirates, it is one of the world’s fastest-growing airports in terms of passenger count and development of its infrastructure.